Why have biblical writers referred to the one God with different names? The different names of God are a way to emphasize one quality of His character. Elohim is one such name that is used frequently in the Scriptures. 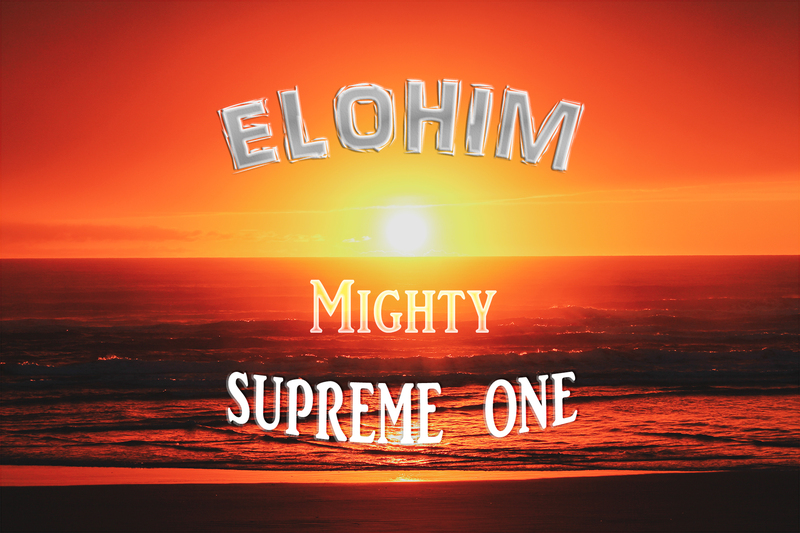 This term “Elohim” means “supreme one” or “mighty one” and appears about 2,750 times in the Old Testament. “In the beginning [Elohim] created the heavens and the earth,” Genesis 1:1. God’s very essence is glorious and unlimited power. His creation is a testament to His awesome creativity and might. “For since the creation of the world God’s [Elohim’s] invisible qualities—his eternal power and divine nature—have been clearly seen, being understood from what has been made, so that people are without excuse,” Romans 1:20. I love that, starting with Genesis, God increasingly reveals Himself to us. He first places himself as Elohim in covenant with his creation. Next, he enters into a special relationship with Israel through the Abrahamic covenant. Finally, his covenantal promises (Genesis 12) find their fulfillment in Jesus Christ, God’s supreme revelation (Hebrews 1). This knowledge of Christ has the ability to move us from a vague understanding of Elohim into an exciting relationship with our Maker. How do you know this God? Do you know him just as a mighty, far away power? Or can you address him as “my Lord and my God”? I’m so thankful that Jesus has given us a clear frame of reference to who this mighty God is and his mission, when Jesus entered our world. My Pastor, Cliff Purcell, is currently preaching a series called “Just Jesus”. His last message is from the second chapter of Mark. You may listen to his podcast here: Closer than You Think, (Jan. 20, 2019). Blessings!